Let’s dig deeper into a few of the numbers. Governor Hogan has a 71% approval rating. This is within the margin of error of last year’s Gonzales poll around the same time that gave Hogan a 74%. This high of an approval rating indicates broad-based support across demographics and geography. Drilling down into the 71% approval number, we find approval from 86% of Republicans, 78% of independents, and 61% of Democrats. The analysis here is obvious: Hogan is riding high in Maryland and has strong bipartisan approval. Demographically, every age-group polled had Hogan above 70%, Men approved 75% while Women’s approval of Hogan was 67%. The largest disparity on approval found was between Whites and African-Americans. Hogan enjoys a 75% approval rating with Whites while “only” a 59% approval among African-Americans. 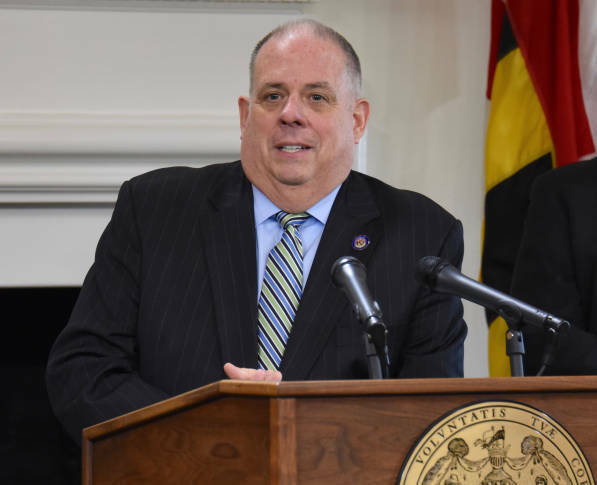 Geographically, Hogan, unsurprisingly, fares best in Western Maryland and the Eastern Shore, where he averages over 80% approval. However, this high approval is also seen in the “Metro Baltimore” counties (Baltimore County, Harford, Howard and Anne Arundel) where his approval rating is at 81%. Hogan’s approval in the DC metro area is still positive, at 53-36. The most surprising geographic number? Baltimore City, where Hogan enjoys a 66% approval rating. The other question polled that clearly goes in the win column for the Governor is whether Maryland is moving in the right direction. 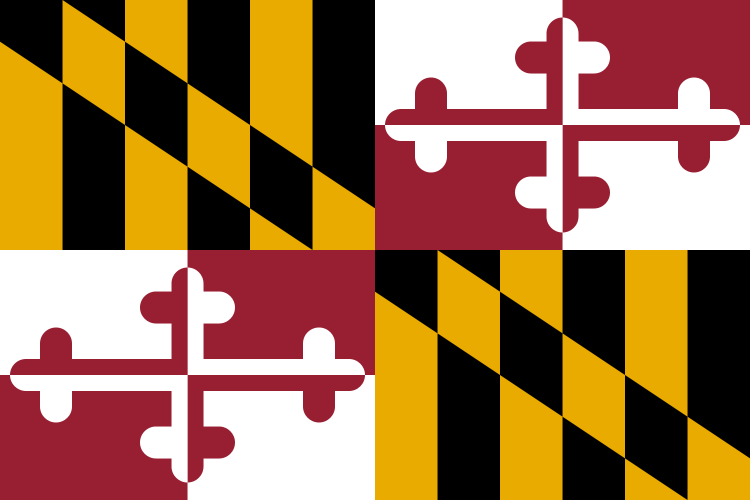 59% of respondents agreed that Maryland was moving in the right direction. 70% of Republicans and 73% of unaffiliated voters agreed with the sentiment, while only 50% of Democrats had that view. Despite the high marks that the Governor is getting for pushing Maryland in the right direction, one of the main takeaways for Democrats will be that Hogan still fails to crest 50% in head-to-head competition with the folks trying to unseat him. 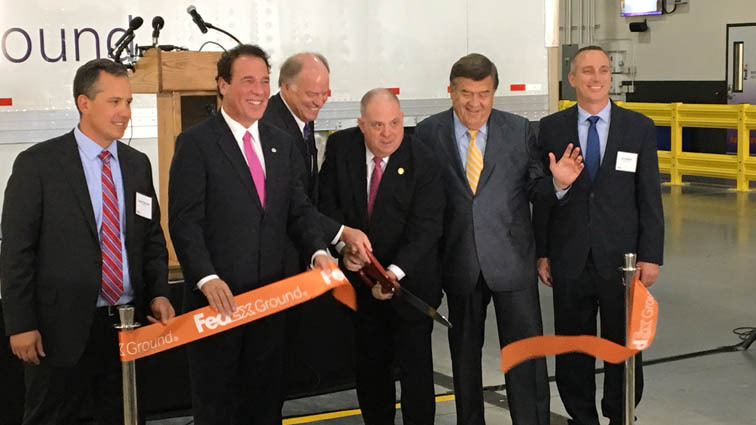 At this stage, it looks like the three top rivals (of the seven Democrats in the race) to the Governor are Prince George’s County Executive Rushern Baker, Baltimore County Executive Kevin Kamenetz, and former NAACP Chair and Bernie-Sanders-Endorsed Ben Jealous. It’s important to remember when we’re looking at these head-to-head polls that the Democrats have not coalesced around a nominee. The primary election isn’t until June 26, so there’s a lot of time. Another poll by Gonzales this week showed that 33% of Democrats have yet to make up their minds about who to support in the primary. That’s all to say that you’d expect the Democrats running not to have the name recognition or the organization to poll well against Hogan. At this stage, Rushern Baker polls best against Hogan. Hogan leads Baker 47% to 37% with 15% undecided. In that matchup, Hogan pulls 24% of Democrats, 88% of Republicans, and 53% of Unaffiliated voters. Baker pulls 58%, 5%, and 22% of the same groups. Though Baker trails Hogan by 10% in this poll, it’s easy to see from the approval rating numbers why Baker is currently the strongest anti-Hogan candidate: the DC suburbs. Baker, the County Executive of Prince George’s County can draw from an existing well of support. Metro Washington would support Baker 68-21 against Hogan. Baker would also carry Baltimore City 56-24. Hogan’s lead also falls 21% from his approval rating in Metro Baltimore, but he still would hold a 60-22 lead. This is the right time to talk about one of the interesting phenomena of Maryland politics for affable Republicans: “I like you, but I’m not going to vote for you.” In other words, we can already see how high approval doesn’t exactly translate into re-election. It may seem schizophrenic that Democrats approve of the job Governor Hogan is going by a 61-29 majority yet would support Baker 58-24 against Hogan. While some Democrats would explain this away as saying “sure, I like Hogan, but I like Baker more,” the odds are that partisanship and tribalism are the far greater motivating factor than, at this point, a true weighing of policies. Hogan leads Baltimore County Executive Kevin Kamenetz 48-34. Kamenetz’s support from Democrats is softer than Baker’s, but otherwise the numbers are similar. Kamenetz does better than Baker in Metro Baltimore, but still trails Hogan substantially, and is weaker than Baker in Metro DC. However, none of these numbers are significant enough to demonstrate a real preference in the electorate at this stage. What this is really polling, for at least 80% of the people responding, is a “generic regional Democrat” against Hogan. Former NAACP Chair Ben Jealous trails Hogan 49-35. His numbers show no real outliers from the other Democrats in the race. Crosstabs are always the most interesting parts of polls. This is when you look at a group’s answer on a particular question and see how they voted on another question. For example, only 11% of the Democrats who “somewhat” approved of Governor Hogan would choose to vote for him in the Fall. This is the numerical representation of the “I like you, but I’m not going to vote for you” principle. When a Democrat “strongly” approves of Hogan? That 11% jumps to 38%. Interestingly, that still means 62% of Democrats who strongly support Hogan wouldn’t vote for him in November. 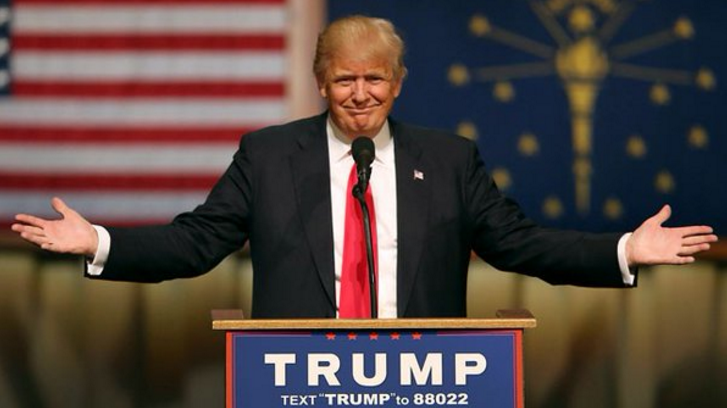 On Federal questions, Marylanders generally don’t like Donald Trump (36-60). However, Maryland Republicans support the President 73-25. Marylanders are also against the tax cuts passed by Congress (33-54). These numbers, the Presidential approval and the tax cuts, track together and seem almost wholly independent of Hogan. So, what’s the big takeaway from this poll if you’re a Hogan supporter? Cautious optimism. There are 62% of Democrats out there right now who are strong supporters of the Governor but are declining to vote for him again. We need them on board. Despite charting a path independent of President Trump, Republicans don’t yet look like they’re holding it against Hogan. In fact, the vast majority of Maryland Republicans have apparently embraced a Republican Party that is big enough for both the Trumps and Hogans of the world. This data would reinforce the need for Hogan to govern as a pragmatic moderate and stay above the fray. There are obvious concerns about Democrats looking for wins during the General Assembly to siphon off support from the Governor and political fights that Hogan won’t be able to avoid. However, in the short-term, it’s a good news day for Hogan supporters. Note, the Maryland Reporter has a copy of the full Poll results that can be found here.